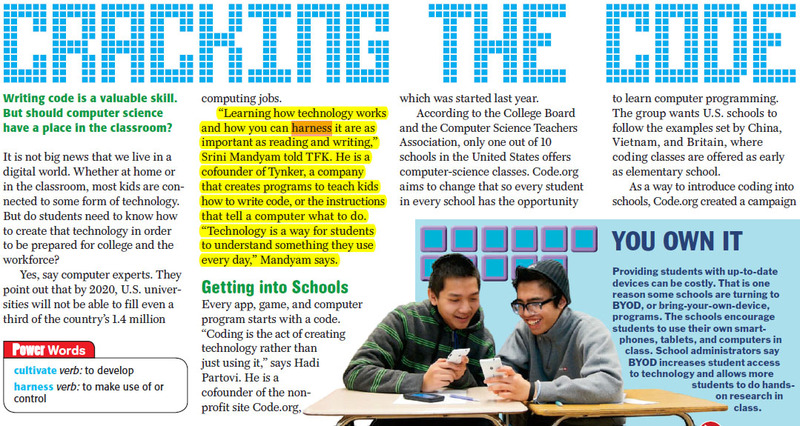 If your students are among the 4 million who receive Time for Kids in their classroom each month, you’ll notice that this month’s cover story discusses why coding is important for kids……featuring Tynker! In the article, Tynker’s Co-Founder, Srinivas Mandyam, is quoted on the importance of coding, and the ability of coding to support many academic areas. 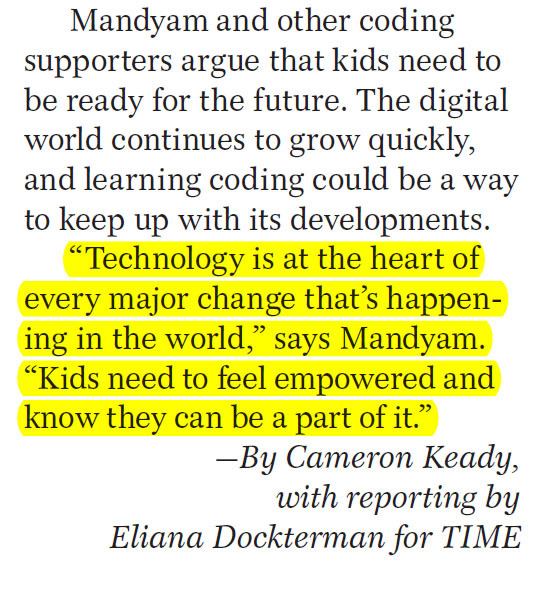 Thank you, Time for Kids, for bringing awareness of the importance of coding — to kids, teachers and families. 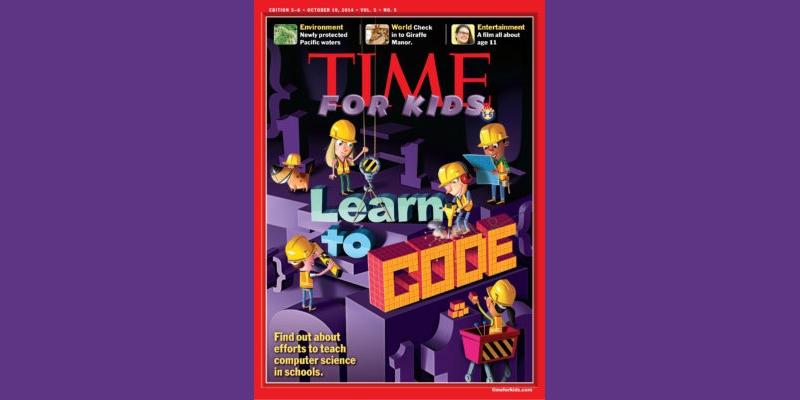 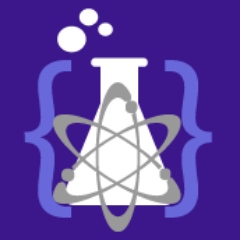 Have your students started learning to code?